It was enlightening to discover the diverse media that the hundreds of young artists used in their Chanukah art creations: crayons, markers, watercolors, tempera paints, fabrics, metallic materials, fancy papers, beads, balloons, computers. Entries came from 14 cities: Denver • Aurora • Boulder • Centennial • Westminster • Colorado Springs • Englewood • Evergreen • Greenwood Village • Longmont • Littleton • Parker • Steamboat Springs. Some entries came from Bozeman, Montana. 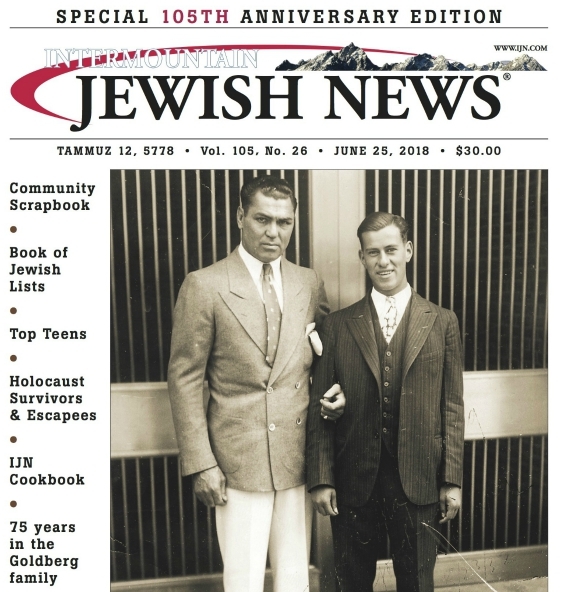 The winning entries published in this Intermountain Jewish News are on at Kavod Senior Life’s art gallery, 22 S. Adams St., from Dec. 3-10, through the end of Chanukah.